A Maine woman is alive after mistaking a boat launch ramp for a road and driving straight into the harbor. Eva Lenfest, 92, was behind the wheel Thursday morning when her sedan plunged into the water of Belfast Harbor, the Pen Bay Pilot reported. 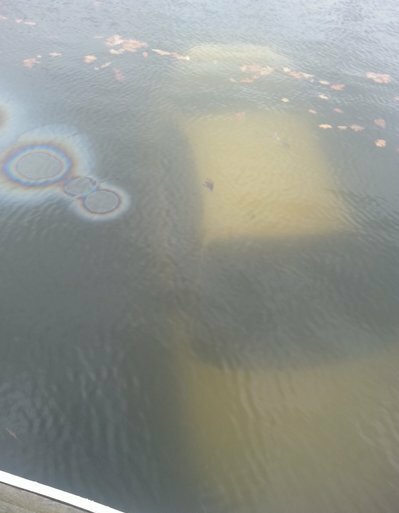 Officials said both the ramp and the surface of the water were covered in a layer of leaves, and Lenfest later said she had thought she was driving on the road, according to the Bangor Daily News. There was also heavy rain that morning, which further decreased visibility. Two men working in the harbor, Bryden Burlseon of Belmont Boatworks and Assistant Harbor Master Howard Whitcomb, were able to get to the car in a rubber dinghy and pull Lenfest out. “[Bryden] had actually got the door open and got her unhooked, and he was trying to get her out but the car was going down. So I jumped in the boat and we got hold of her and pulled her out,” Whitcomb told the Pen Bay Pilot. Harbormaster Katherine Pickering told the paper that the men got Lenfest out “just a split second” before her car was totally submerged. Belfast police told WABI-TV that other drivers have made the same mistake in the past, including at least one who drowned in the harbor. Lenfest was taken to a hospital but is reportedly doing fine in good condition.